When Christopher Columbus reached Cuba in 1492 , he discovered the locals “drinking smoke” from an early version of a cigar. Apparently, the natives had been smoking for centuries , sometimes rolling green leaves from the plant they called “cohiba” and wrapping them in palm leaves or maize before dipping them in seawater. 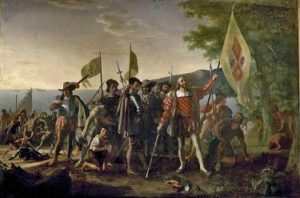 The question of whether Christopher Columbus’s discovery of the New World or of the cigar was more significant, is left to the connoisseur. 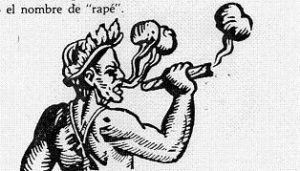 While the Spanish, the Portuguese and the Dutch all claim to have brought the habit to the Old World by 1515, the Spanish definitely had a thriving business exporting tobacco from Cuba to Europe and were soon earning more money from the bright leaf than they ever would from gold. 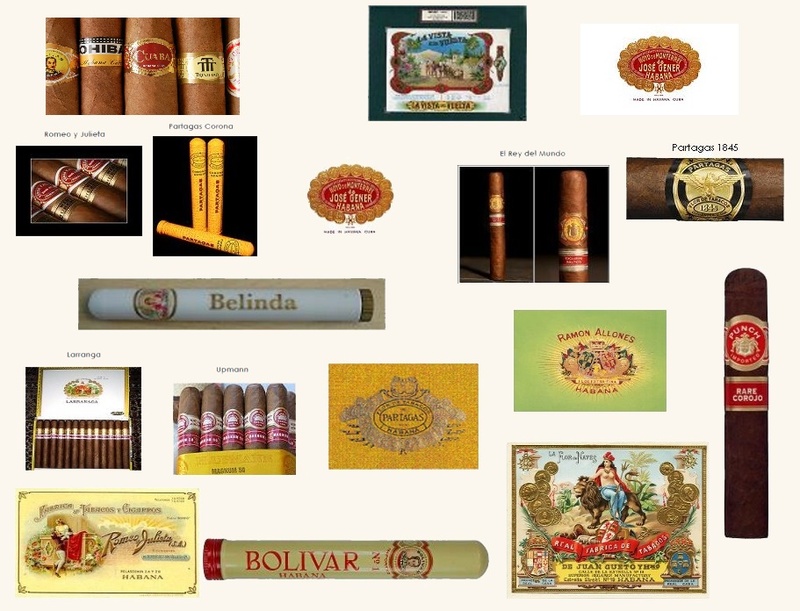 The first cigar factories appeared in 1676 in Spain and by 1731 the royal cigar factories had been established their. The Italian ports in Venice and Genoa became key spots for shipping cigars to central Europe and Russia. Tobacco escalated in value. In 1560 the French ambassador to Portugal, Nicot , sent tobacco plants to Catherine de Medici, the Queen of France. 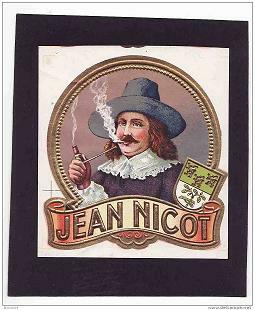 Nicot gave his name to the botanical name for tobacco (Nicotiana tabacum) and to nicotine , an addictive chemical found in tobacco. Spain’s manufacturing cartel was quickly challenged. By the mid-18th century, Louis XV had pushed the French industry into cigar manufacturing. In 1779, a German , was granted a five-year concession by the papal government in Rome to manufacture bastoni di tobacco – “tobacco sticks“, or cigars, and by 1800 the Italian and German industries were manufacturing cigars. 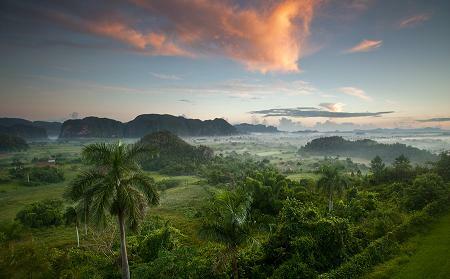 During this period, the leaf grown in Cuba was being shipped to Spain to be made into cigars. When it was acknowledged that Havana cigars survived the trans-Atlantic voyage much better than the leaf itself, the “fabricas”, or cigar factories were born in Cuba. The first names to be registered in Havana’s trademark office, entered in 1810, were forerunners of a flourishing industry. An entry (preserved in the Cuban National Archives) for a permit issued for the establishment of one factory and shop reads: “Francisco Cabanas, born in Havana, single, has opened a shop in Jesus del Monte Avenue, which previously operated at 112 Jesus Maria Street.”On June 23, 1817, Fernando VII of Spain signed a royal decree that allowed free trade for the island of Cuba. The first names to be registered in Havana’s trademark office, entered in 1810, were forerunners of a flourishing industry. An entry (preserved in the Cuban National Archives) for a permit issued for the establishment of one factory and shop reads: “Francisco Cabanas, born in Havana, single, has opened a shop in Jesus del Monte Avenue, which previously operated at 112 Jesus Maria Street.”On June 23, 1817, Fernando VII of Spain signed a royal decree that allowed free trade for the island of Cuba. The subsequent boom in cigar sales filled the port of Old Havana with ships bound to distribute Cuban cigars the world over. The steamship ensured rapid distribution of Cuba’s superior brands. In 1860 Partagas was the first factory that employed readers to continue the workers’ education. A reader read, over a Tannoy loudspeaker system, from the newspaper in the morning and from a novel in the afternoon. 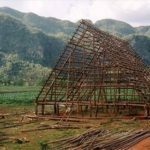 So began the golden age of Havana. Between 1830 and 1850 the great brands, many of which survive today, were founded. In 1850, the Dutchman Gustavo Bock introduced paper bands into the design of cigars as a means of distinguishing prestigious brands. Heads of state, kings and monarchs, presidents and dictators, all wanted a custom-designed brand. This rush for cigars established the reputation of the Cuban cigar as a symbol of wealt, power, and prestige. 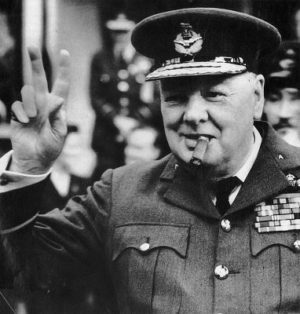 English Prime Minister Winston Churchill is said to have smoked nearly a quarter of a million over his lifetime. Today Pinar del Rio, the Viniales Valley and western Cuba in general are the centers of growing tobacco. 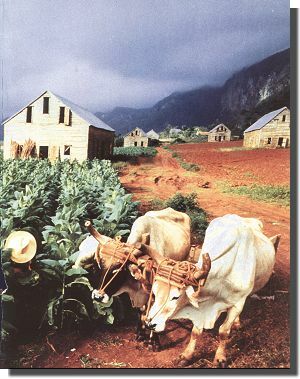 Tobacco growing is the lifeblood of the region and farmers still use the old-fashioned farming methods to grow tobacco in the valley. 200 years after the introduction , tobacco remains the main crop in the Viniales valley with a production of approximately 66000 tons yearly.